Asahi Refiners offers various sizes, including this 1-kilogram pure silver bar. Silver poured into a bar then stamped with the Asahi Refiners brand, weight, and unique serial number. This bar is the perfect addition to your portfolio. Please be advised that the product may not appear as the photograph. 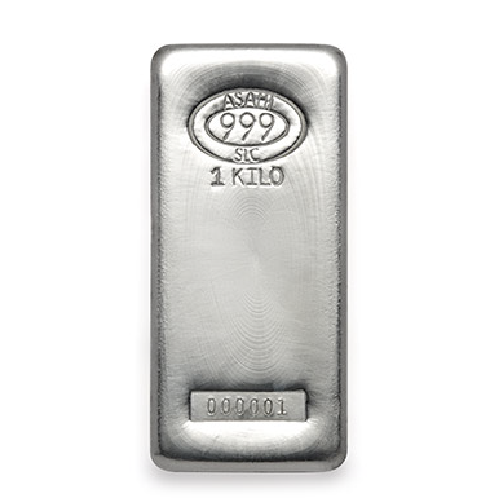 Add this 1kg silver bar to your cart today. © Copyright 2018. Express Gold Refining Ltd.